On a winter night in December 2008, Tim Kreger was conducting a fundraiser to benefit the golf team at his alma mater, Clemson University. At night’s end there was a tee time to play Prestwick Country Club in Myrtle Beach, S.C., still available. Kreger did not want to see a free round of golf go unclaimed, especially for a good cause. “So we put it online at this bidding website and it sold for $250,” Kreger said. That is when Kreger had an “a-ha” moment that led to the eventual creation of Rounds 4 Research, a program that aids in fundraising for turfgrass research. Today, Rounds 4 Research is run by the Environmental Institute for Golf, the philanthropic arm of the Golf Course Superintendents Association of America. 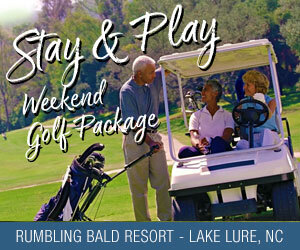 The program holds online auctions at BiddingForGood.com, accepting donations in the form of rounds of golf and stay-and-play packages from supporting golf facilities. Approaching its second anniversary at the national level, Rounds 4 Research has raised nearly $150,000 for turfgrass research. Rounds 4 Research’s next online auctions are scheduled for June 9-22 and Aug. 1-10. Rounds 4 Research’s roots were planted by Kreger, 39, who graduated from Clemson with a degree in sports marketing. After a brief stint in retail management, Kreger worked as director of development for the South Carolina Junior Golf Foundation, raising funds for junior golf programs throughout the state. In November 2007, he was hired by the Carolinas Golf Course Superintendent Association as programs director and was promoted to executive director in 2009. As executive director for the CGCSA, Kreger began grappling with how to improve charitable funding to the largest turfgrass research universities in the association’s region – Clemson and N.C. State University – which were feeling the squeeze of governmental budget cuts. By 2008, the land-grant universities were pleading a case for more help from the golf industry. “Basically they were saying if we’re going to continue providing the latest and greatest updates on diseases and fungicides and drought and anything affecting the game from an environmental standpoint we’re going to need your help,” Kreger said. His frustration manifested itself in the form of a personal brainstorming session following a meeting in Raleigh. Why not use golf’s prized inventory – tee times –for the industry’s own good? As he drove home, the name Rounds 4 Research came to him. He also called the association’s sitting president, Paul Jett, then the superintendent at Pinehurst No. 2, and ran the idea by him. The concept gained traction among the CGCSA’s board members and past presidents and the association held its first online auction in 2009, raising $100,000 and giving back $60,000 to the universities. In 2010, Kreger brought on his neighbor associations in Virginia and Georgia, and also added Texas, selling them on the idea that monies raised in their state would benefit their own land-grant universities. With 1,100 tee times for sale, the auction raised $150,000. The following year, without Texas’ support, the auction still managed to raise $100,000. Realizing the need for more technical support to streamline the operations and seeing the potential growth, Kreger approached the Golf Course Superintendents Association of America and pitched the idea. The association bought the program and after a transition year in 2012, launched the first national auction in 2013, raising $150,000 with 56 of 99 national chapters participating and 80 cents per dollar being given to turfgrass research. The upcoming Rounds 4 Research auctions will be advertised during television coverage of the U.S. Open and U.S. Women’s Open at Pinehurst No. 2 in June. Within three to five years, Kreger believes the program will have the support of the United States Golf Association, become international in scope and raise $2 million per year for turfgrass research. Thanks in part to a tee time auctioned off one winter’s night.